DAVIDSON, N.C., December 18, 2018 /3BL Media/ – Bank of America Stadium, home of the Carolina Panthers®, won a 2018 Energy Efficiency Leader award and recognition from Trane and Ingersoll Rand leaders for outstanding commitment to energy conservation. 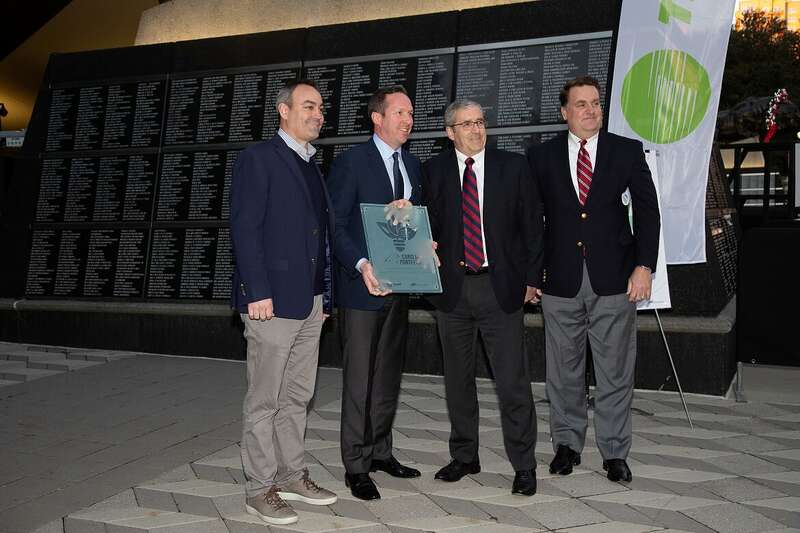 Panthers’ president, Tom Glick, and vice president of stadium operations, Scott Paul, accepted the award yesterday during a ceremony at the stadium. Managers of the 75,523-seat football stadium set out to improve fan comfort, reduce costs, and lower the venue’s energy use. The solution included a comfort system facelift, which reduces the stadium’s energy costs by $80,000 per year. 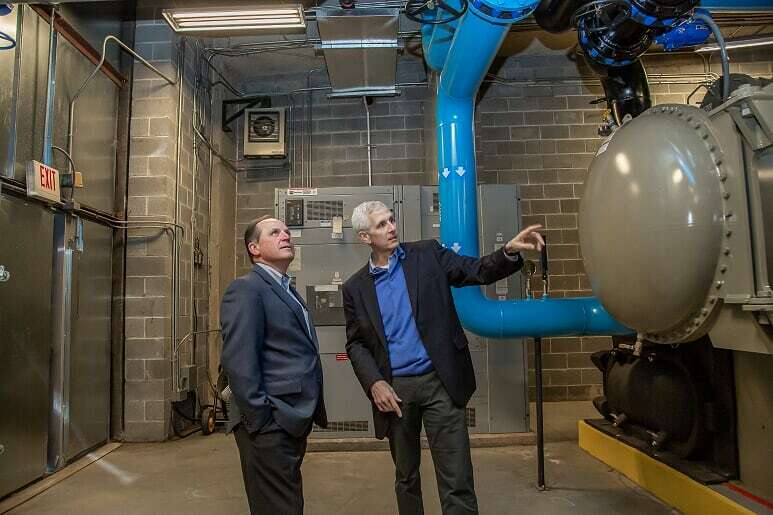 The Bank of America Stadium upgrades also align with North Carolina’s statewide goal of reducing greenhouse gas emissions by 40-percent by 2025; buildings are one of the state’s most energy-reliant sectors. These upgrades reduce the stadium’s energy usage by 1.7 million kilowatt hours per year, which is equivalent to taking 271 cars off the road or powering 190 homes each year, in terms of greenhouse gas emissions. Bank of America Stadium’s 33-acre footprint stretches across uptown Charlotte, and has extensive energy demands, including heating and cooling in suites, concessions and other indoor areas. 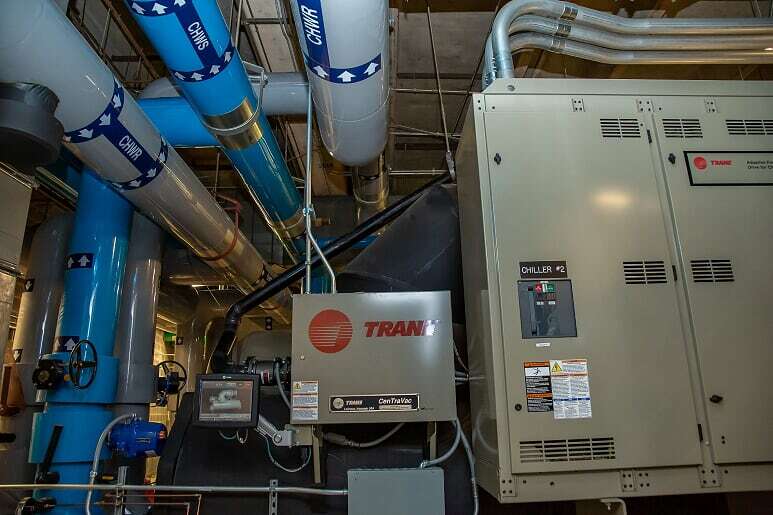 The stadium facilities team worked with Trane to upgrade the venue’s pumps and primary cooling system, including a Tracer® Ensemble™ building management system and remote monitoring for suite-level temperature control. The upgrade includes a new compressor, which adds more efficiency. Bank of America Stadium and Ingersoll Rand share a commitment to environmental responsibility and customer comfort. In addition to working with Ingersoll Rand’s Trane and compressed air technology and services businesses, the stadium also uses Club Car® vehicles for transport within the stadium.